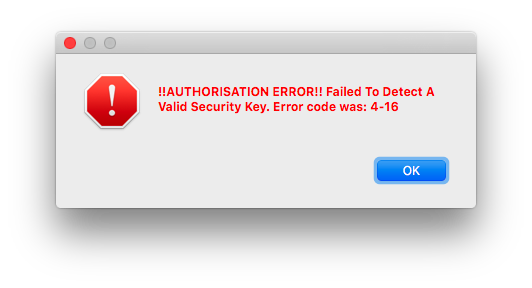 After a fresh install or a macOS Security Update, this message may pop-up when starting the Server. 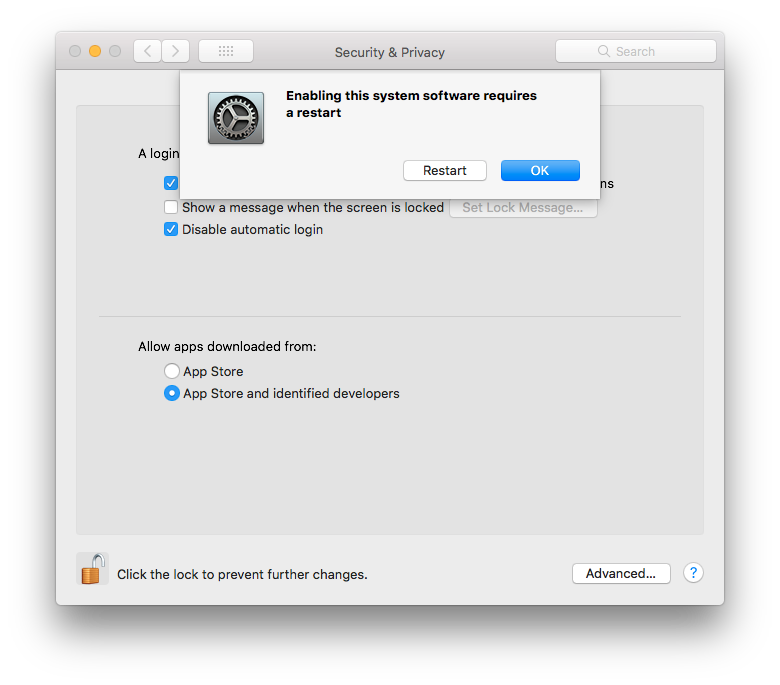 This message pop-up may appear after a macOS 10.13.x or 10.14.x Security Update. In both instances error and/or message is generated due to macOS revoking the Sentinel System [dongle] Driver third-party app load permissions. 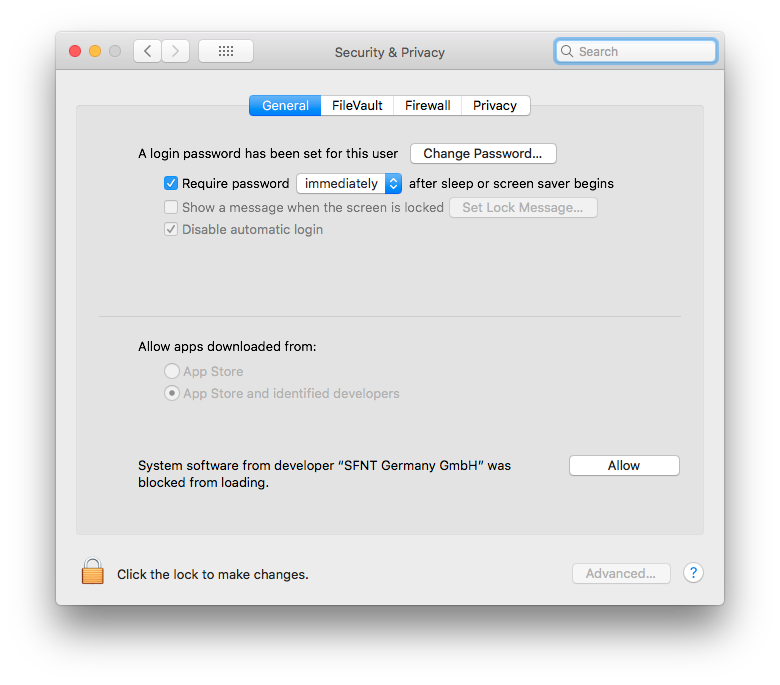 click the Open Security Preferences button in the ‘System Extension Blocked’ message above. 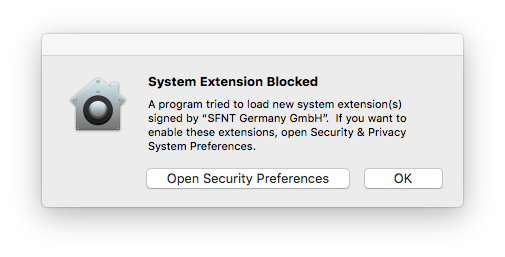 or, open macOS > System Preferences > Security and Privacy > General tab, a ‘System software from developer “SFNT Germany GmbH” was blocked from loading.’ notification will be displayed in the Allow app downloaded from: panel. Click the Allow button to give the Sentinel Dongle driver loading permission. Then click the Restart button in the ‘Enabling this system software requires a restart’ pop-up dialog. When the machine is up and running again, the Sentinel Dongle will be recognised and the Blackmagic / Megarip / Veripress Server should start up normally.